Mumbai, 23rd February, 2017: Rasna, world’s largest manufacturers of instant fruit based concentrate today announced its new advertisement campaign ‘Pyarelal Ka Bachpan Ka Pyar’. This campaign aims at celebrating the brand’s journey of spreading love for decades across generations. 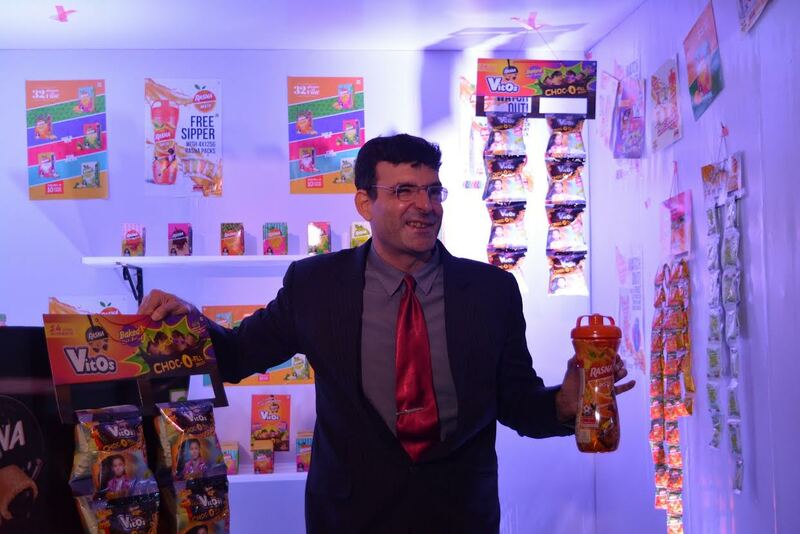 Rasna also announced its entry in the baked sweet snack category with the launch of Rasna Vitos. Rasna’s ‘Pyarelal Ka Bachpan Ka Pyar’ campaign is spread in three parts including teasers followed by ad films of 2 minutes, 40 seconds, 30 seconds and shorter durations. For the first time, fruit juice concentrate maker has roped in veteran Bollywood actor Ram Sethi, also popularly known as Pyarelal and Daisy Irani. The ad film captures the affection between the two actors in different time periods and the journey of Rasna in their lives as a unifying factor. The latest ad campaign is conceptualized by Scarecrow Communications, produced by Chrome Films and explores different formats and platforms in order to cater to the interest levels of people of all age groups. Considered as one of the most trusted original Made in India brand, Rasna is a market leader with 85 % share in the powdered drink segment. Now, Rasna has strong plans to chart its next phase of double digit growth and expansion of overall product portfolio. 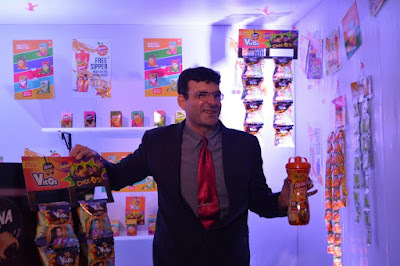 In the press conference held in Mumbai for the new ad campaign, Rasna launched Rasna Vitos, a baked sweet snacks. According to market researcher Euromonitor, sweet and savoury snacks have grown by 26%, highest within packaged food segment between 2010 and 2015. Sensing this opportunity, Rasna is planning to target the sweet snacks segment with focus on kids coming from school. As of now, Rasna Vitos will be available in chocolate and strawberry flavours. “Vitos is our answer to the huge opportunity in the evening snacks and kids back from school segment. This product will drive the proposition of evening snacking in a tasty and healthy manner. Unlike fried chips and namkeens with 40% fat, Vitos is not fried but baked and made with Ragi and wheat with 14 nutrients making it an ideal health supplement for kids. Rasna has kept its promise of healthy tasty product for the masses that too at an affordable price of Rs.10 per pouch. The focus will now be on increasing the penetration of Vitos by levering our robust marketing and distribution network.” added Mr. Piruz Khambatta on the launch of Rasna Vitos. Rasna has also announced in the press conference regarding setting up of new powder facility at Chittoor, Andhra Pradesh which would add another 20% to its capacity to its double digit growth plan. Currently, the brand has nine manufacturing facilities across India. This new facility will be integral for Rasna to not only strengthen the market share in the powder drink segment, but also compete with fruit drinks. Remarkably, Rasna has not increased the MRP of its product from its launch in 20 years and is still available at Rs.2 per glass. In recent research done by MRSS India (Majestic Market Research Support Services), Rasna has stood out with the highest recall orange drink - aided and unaided recall, which is another great achievement. Rasna today is one of the largest FMCG company manufacturing fruit based soft drink concentrate in the world. Rasna has 3000 people working for it directly and indirectly and exports to 533 countries. Rasna has won numerous awards viz. Rasna got Most preferred Brand 2003&2004, consumer world award 2014,ITQI Belgium superior taste award 2008,Monde Selection Quality award 2012, Most promising brand of the year 2014-15 (Soft Drinks)Food & Beverage Sector Asia, to name a few. Rasna has more than 80% market share in its category unlike any other Indian company. Rasna has strong sales and marketing track record with more than 300 TVCs with 100% recall aided and unaided. Rasna is available in 1.8 million outlets with 9 manufacturing facilities across the country, 35 warehouses, 2500 stockist.